The development of digital economy, which enables companies to avoid tax through aggressive tax planning, is among the main hardships to which the international tax regime currently has to come up with new solutions. Many companies in the digital economy engage in tax base erosion by exploiting the loopholes in international tax laws. Globally, all tax authorities have faced difficult challenges. The growing of the digital economy, increasing world trade, and raising mobility related to finance and resources has challenged domestic and international tax laws. Uluslararası vergi hukukunun günümüzde karşılaştığı en önemli zorluklardan biri, uluslararası şirketlerin agresif vergi planlamaları vasıtasıyla vergi kaçırmalarını sağlayan dijital ekonomideki gelişmelerdir. Dijital ekonomi içerisinde yer alan çoğu uluslararası şirketler, uluslararası vergi rejimindeki bir çok boşluktan yararlanmak suretiyle vergi matrahlarını aşındırmaktadırlar. Genel olarak tüm vergi otoriteleri uluslararası işletmeleri vergilendirme konusunda zorluklarla karşı karşıya kalmaktadırlar. Dijital ekonominin büyümesi, dünya ticaretinin artması ve finans ve kaynaklarla ilgili hareketlilik, ulusal ve uluslararası vergi mevzuatını zor duruma düşürmektedir. Ekonomik İşbirliği ve Kalkınma Örgütü (OECD), Matrah Aşındırma ve Kar Aktarımı (BEPS) konularına odaklanmış ve uluslararası vergilendirme konularında ortaya çıkan güçlükleri yönetmek için bir çok BEPS Eylem Planı geliştirmiştir. Bu kapsamda BEPS Eylem 1, özellikle dijital ekonominin ortaya çıkardığı vergi zorluklarını hedef almaktadır. Bu çalışmada, ağırlıklı olarak dijital ekonominin vergilendirilmesinde ortaya çıkan yeni gelişmeler ele alınmakta, doğrudan ve dolaylı vergilerle ilişkili olarak vergi matrahının azaltılmasını önlemeye yönelik bölgesel ve ülke politikaları ile uluslararası vergi hukukundaki dönüşüm incelenmektedir. ARDOUS, Renata: “EU-BEPS Presidency Roadmap and the Winner Is?”, Mazars, 2016, http://blogs.mazars.com/letstalktax/2016/03/beps-eu-presidency-roadmap/(Accessed: 06.08.2017). ARORA, Harsh: “An Evaluation of the Measures in Action 14 of the Action Plan of the OECD/G20 BEPS Initiative Intended to Make Dispute Resolution More Effective”,Bulletin for International Taxation, 71(5), 2017, https://online.ibfd.org/collections/bit/html/bit_2017_05_int_3.html?WT.z_nav=crosslinks#bit_2017_05_int_3 (Accessed: 18.06.2017). AULT, Hugh J. / ARNOLD, J. Briand: “Protecting the Tax Base of Developing Countries: An Overview”, in Trepelkov, Alexander / Tonino, Harry / Halka, Dominika (ed. ), United Nations Handbook on Selected Issues in Protecting the Tax Base of Developing Countries, New York, 2015. Australian Taxation Office: “GST on Low Value Imported Goods”, https://www.ato.gov.au/General/New-legislation/In-detail/Indirect-taxes/GST/GST-on-low-value-imported-goods/ (Accessed: 16.08.2017). BAEZ, Andres / BRAUNER, Yariv: “Withholding Taxes in the Service of BEPS Action 1: Address the Tax Challenges of the Digital Economy”, IBFD, White Paper, 2014, https://www.ibfd.org/sites/ibfd.org/files/content/WithholdingTaxesintheServiceofBEPSAction1-whitepaper.pdf (Accessed: 27.06.2017). BAL, Aleksandra / PUENTE, Gutiérrez Carlos: “Taxation of the Digital Economy”, in Cotrut, Madalina / Bal, Aleksandra / Betten, Rijkele / Hamzaoui, Ridha / Obuoforibo, Belema / Ostaszewska, Ola, (ed. ), International Tax Structures in the BEPS Era: An Analysis of Anti-Abuse Measures, IBFD Publication, 2015, Online Book, https://online.ibfd.org/document/tps_head (Accessed: 09.06.2017). 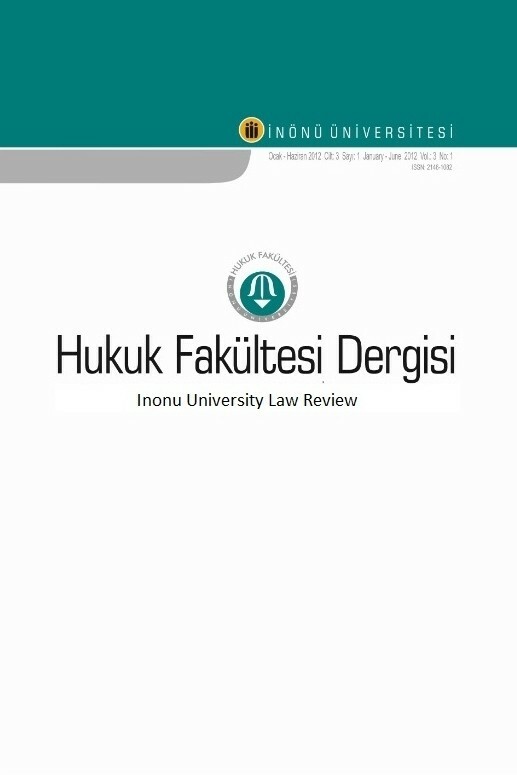 BAL, Aleksandra: “Bitcoin Transactions: Recent Tax Developments and Regulatory Responses”, Derivatives & Financial Instruments, 17(5), 2015, https://online.ibfd.org/document/dfi_2015_05_int_2 (Accessed: 13.06.2017). BAL, Aleksandra: “EU VAT Proposals to Stimulate Electronic Commerce and Digital Publishing”, International VAT Monitor, 28(2), 2017, https://online.ibfd.org/kbase/#topic=doc&url=/collections/ivm/html/ivm_2017_02_e2_2.html (Accessed: 01.08.2017). (BAL 2017). Base Erosion and Profit Shifting Project, OECD Publishing, Paris, 2015, http://dx.doi.org/10.1787/9789264241046-en (Accessed: 19.06.2017). (OECD 2015a). BASU, Subhajit: Global Perspective on E-Commerce Taxation Law, Routledge, UK, 2016. BATES, Stephen / MARTIN, Jess: “OECD Issues Report on the Tax Challenges of the Digital Economy Under Action 1”, Global Digital Tax Developments Review, 2015, http://www.ey.com/Publication/vwLUAssets/EY-global-digital-tax-developments/$FILE/EY-global-digital-tax-developments.pdf (Accessed: 19.07.2017). BBVA: “Digital Economy Outlook”, 2016, https://www.bbvaresearch.com/wp-content/uploads/2016/05/DEO_May16.pdf (Accessed: 17.06.2017). BEERAJE, Sarah: “EU Presidency roadmap on BEPS”, KPMG, 2016, https://home.kpmg.com/uk/en/home/insights/2016/07/tmd-eu-presidency-roadmap-on-base-erosion-and-profit-shifting.html (Accessed: 05.08.2017). BRAUNER, Yariv: “What the BEPS”, Fla. Tax Rev. 16(2), 2014. BRYNJOLFSSON, Erik / KAHIN, Brian: “Intoduction”, in Brynjolfsson, Erik / Kahin, Brian, (ed. ), Understanding the Digital Economy – Data, Tools, and Research, MIT Press¸ London, 2000. CISCO: “Cisco Visual Networking Index: Forecast and Methodology2016–2021”, 2017, http://www.cisco.com/c/en/us/solutions/collateral/service-provider/visual-networking-index-vni/complete-white-paper-c11-481360.pdf (Accessed: 08.06.2017). DELOITTE: “Global Indirect Taxes”, 2017, https://www2.deloitte.com/content/dam/Deloitte/global/Documents/Tax/dttl-tax-global-indirect-tax-news-april-2017.pdf (Accessed: 04.08.2017). DLAPIPER: “Cross Border Supplies of Intangible Services, Rights and Digital Content”, 2015, https://www.dlapiper.com/~/media/Files/Insights/Publications/2015/09/Global_VAT_Guide_2015.pdf (Accessed: 24.07.2017). European Commission: “Commission Proposes New Tax Rules to Support E-Commerce and Online Businesses in the EU”, Press Release, Brussels, 2016, http://europa.eu/rapid/press-release_IP-16-4010_en.htm (Accessed: 22.07.2017). European Commission: “Digital Single Market - Modernizing VAT for cross border e-Commerce”, http://ec.europa.eu/taxation_customs/business/vat/digital-single-market-modernising-vat-cross-border-ecommerce_en (Accessed: 18.07.2017). (European Commission 2017a). European Commission: “VAT Rates”, http://ec.europa.eu/taxation_customs/business/vat/eu-vat-rules-topic/vat-rates_en (Accessed: 05.08.2017). (European Commission 2017b). European Union: “BEPS: Presidency Roadmap on Future Work", 10998/17, FISC 157, Brussels, 2017, http://data.consilium.europa.eu/doc/document/ST-10998-2017-INIT/en/pdf(Accessed: 08.08.2017). EY Tax Insight: “EU and Base Erosion and Profit Shifting (BEPS): Estonian Presidency Publishes Roadmap on Future Work”, 2017, http://taxinsights.ey.com/archive/archive-news/eu-and-base-erosion-and-profit-shifting-(beps)--estonian-presidency-publishes-roadmap-on-future-work.aspx (Accessed: 05.08.2017). EY: “Digital Developments: Indirect Tax”, 2016”, http://www.ey.com/Publication/vwLUAssets/ey-digital-developments-map-indirect-tax-april-2016/$FILE/ey-digital-developments-map-indirect-tax-april-2016.pdf Accessed: 18.06.2017). (EY 2016b). EY: “Managing Indirect Taxes in The Digital Age”, http://www.ey.com/gl/en/services/tax/vat--gst-and-other-sales-taxes/ey-managing-indirect-taxes-in-the-digital-age-ch2a-internet-sales-of-goods-effects-on-indirect-taxes (Accessed: 21.07.2017). EY: “The latest on BEPS — 2016 year-end review A review of OECD and country actions from July through December 2016”, 2017, http://www.ey.com/Publication/vwLUAssets/EY-US-the-latest-on-beps-2016-in-review/$FILE/EY-US-the-latest-on-beps-2016-in-review.pdf (Accessed: 16.07.2017). (EY 2017a). EY: “Turkish Tax Authority Proposes Tax on Electronic Commerce “, 2016, http://www.ey.com/Publication/vwLUAssets/ey-turkey-alert-tax-proposed-on-e-commerce/$FILE/ey-turkey-alert-tax-proposed-on-e-commerce.pdf (Accessed: 11.07.2017). (EY 2016a). France Stratégie: “Taxation and the Digital Economy: A Survey of Theoretical Models”, http://www.strategie.gouv.fr/sites/strategie.gouv.fr/files/atoms/files/ficalite_du_numerique_10_mars_corrige_final.pdf (Accessed: 15.06.2017). GAOUA, Noah: “Taxation of the Digital Economy: French Reflections”, European Taxation. 54(1), 2014, https://online.ibfd.org/document/et_2014_01_fr_2 (Accessed: 27.06.2017). GOWLAND, Laura: “The European Commission’s Proposals to Reform E-Commerce”, Tax Journal, 2017, https://www.taxjournal.com/articles/european-commission-s-proposals-reform-e-commerce-09022017 (Accessed: 05.08.2017). GREENBERG, Rachel J: “Taking a Byte out of International Tax Evasion: Combating Base Erosion and Profit Shifting”, Chapman Law Review, 19(1), 2016. GRLICA, Iyo: “How the Sharing Economy is challenging the EU VAT System”, International VAT Monitor, 28(2), 2017, https://online.ibfd.org/document/ivm_2017_02_e2_3 (Accessed: 13.08.2017). GRLICA, Iyo: “How the Sharing Economy is Challenging the EU VAT System”, International VAT Monitor, 28(2), 2017, https://online.ibfd.org/document/ivm_2017_02_e2_3 (Accessed: 26.07.2017). HADZHIEVA, Eli: “Tax Challenges in the Digital Economy”, European Parliament, IP/A/TAXE2/2016-04, 2016, http://www.europarl.europa.eu/RegData/etudes/STUD/2016/579002/IPOL_STU(2016)579002_EN.pdf (Accessed: 13.06.2017). HONGLER, Peter / PISTONE, Pasquale: “Blueprints for a New PE Nexus to Tax Business Income in the Era of the Digital Economy”, IBFD Working Paper, 2015, https://www.ibfd.org/sites/ibfd.org/files/content/pdf/Redefining_the_PE_concept-whitepaper.pdf (Accessed: 20.08.2017). HUWS, Ursula: “Labor in the Global Digital Economy: The Cybertariat Comes of Age”, Monthly Review Press, New York, 2014. IBFD Tax Research Platform: “BEPS Country Monitor”, https://online.ibfd.org/kbase/#topic=beps-compare&ap=r_1&cc=e2_ar_au_at_be_br_bg_ca_cl_cn_hr_cy_cz_dk_ee_fi_fr_de_gr_hk_hu_in_id_ie_il_it_jp_kr_lv_lt_lu_my_mt_mx_nl_nz_no_pl_pt_ro_ru_sg_sk_si_za_es_se_ch_tr_uk_us&format=ghtml (Accessed: 18.06.2017). IBFD: “The Action Plan on BEPS”, in Sim, Sam / Soo, Mei-June, (ed. ), Asian Voices: BEPS and Beyond, (Online Book Last Reviewed: 1 July 2016), IBFD Publication, 2017, https://online.ibfd.org/document/av_head (Accessed: 11.07.2017). (IBFD 2017a). Inland Revenue: “Goods and Services Tax Act 1985”, 2017, http://www.ird.govt.nz/technical-tax/pib-review/pib-archived/archived-goods-and-services/goods-services-1983-vol-143.html (Accessed: 04.08.2017). JARIWALA, Rakesh: “Equalization Levy: India’s Action under the BEPS Agenda for the Digital Economy”, India Tax Insights, 2017, http://www.ey.com/in/en/services/tax/ey-india-tax-insights-equalization-levy-indias-action-under-the-beps-agenda-for-the-digital-economy (Accessed: 24.09.2017). KIELSTRA, Paul: “Transcending Tax: How BEPS will Affect the Whole Enterprise”, EY – Tax Insights for Business Leaders, No: 16, 2016, http://www.ey.com/Publication/vwLUAssets/EY-transcending-tax-how-beps-will-affect-the-whole-enterprise-2016/$FILE/EY-transcending-tax-how-beps-will-affect-the-whole-enterprise-2016.pdf(Accessed: 14.06.2017). Kluwer Wolters: “BEPS: Presidency Roadmap on Future Work”, 2017, https://www.navigator.nl/document/idpass9cd3bee6b09648aab3d836222a074887/highlights-insights-on-european-taxation-beps-presidency-roadmap-on-future-work (Accessed: 14.08.2017). KPMG: “OECD BEPS Action Plan: Taking the Pulse in the Americas Region”, 2016, https://assets.kpmg.com/content/dam/kpmg/pdf/2016/02/beps-update-americas.pdf (Accessed: 14.06.2017). LAHODNY, Andrea / PETRUZZI, Raffaela: “Austria”, The Future of Transfer Pricing, IFA Cahiers 2017, Online Book, Vol.102B, 2017, https://online.ibfd.org/kbase/#topic=doc&url=/data/ifacahier/pdf/ifacahier_2017_volume2_austria.pdf&WT.z_nav=Navigation&title=IFA+Cahiers+2017+-+Volume+102B%253A+The+future+of+transfer+pricing+-+Austria (Accessed: 22.06.2017). LI, Jinyan: “Protecting the Tax Base in The Digital Economy”, in Trepelkov, Alexander / Tonino, Harry / Halka, Dominika, (ed. ), United Nations Handbook on Selected Issues in Protecting the Tax Base of Developing Countries, New York, 2015. NELLEN, Annette: “Taxation and Today’s Digital Economy”, Journal of Tax Practice & Procedure, April–May 2015, http://www.sjsu.edu/people/annette.nellen/JTPP_CCH_June2015_Nellen_DigitalEconomy.pdf (Accessed: (10.07.2017). OECD: “About the OECD”, http://www.oecd.org/about/ (Accessed: 14.06.2017). OECD: “Addressing the Tax Challenges of the Digital Economy, Action 1 - 2015 Final Report”, OECD/G20 OECD: “Addressing the Tax Challenges of the Digital Economy”, 2014, http://dx.doi.org/10.1787/9789264218789-en (Accessed: 19.06.2017). (OECD 2014b). OECD: “Background Brief Inclusive Framework on BEPS”, 2017, http://www.oecd.org/tax/beps/background-brief-inclusive-framework-for-beps-implementation.pdf (Accessed: 28.09.2017). OECD: “BEPS Action 1: Address the Tax Challenges of the Digital Economy”, https://www.oecd.org/ctp/tax-challenges-digital-economy-discussion-draft-march-2014.pdf (Accessed: 18.06.2017). (OECD 2014a). OECD: “Inclusive Framework on BEPS Progress Report July 2016-June 2017”, http://www.oecd.org/tax/beps/inclusive-framework-on-BEPS-progress-report-july-2016-june-2017.pdf (Accessed: 18.07.2017). (OECD 2017c). OECD: “OECD Science, Technology and Industry Scoreboard 2013: Innovation for Growth”, OECD Publishing, www.oecd.org/sti/scoreboard.htm , UNCTAD, June 2013. (Accessed: 10.06.2017). (OECD 2013a). OECD: “Public Discussion Draft BEPS Action 1: Address the Tax Challenges of the Digital Economy, 24 March 2014 – 14 April 2014”, https://www.oecd.org/ctp/tax-challenges-digital-economy-discussion-draft-march-2014.pdf (Accessed: 10.06.2017). (OECD 2014). OECD: “Technology Tools to Tackle Tax Evasion and Tax Fraud”, OECD Publication, 2017, http://www.oecd.org/tax/crime/technology-tools-to-tackle-tax-evasion-and-tax-fraud.pdf (Accessed: 23.06.2017). (OECD 2017d). OLBERT, Marcel / SPENGEL, Christopher: “International Taxation in the Digital Economy: Challenge Accepted?”, World Tax Journal, 9(1), 2017, https://online.ibfd.org/document/wtj_2017_01_int_4 (Accessed: 21.07.2017). PENG, Wei: “Multinational Tax Base Erosion Problem of the Digital Economy”, Modern Economy, 7(3), 2016, p.345, http://dx.doi.org/10.4236/me.2016.73038 (Accessed: 11.07.2017). POPA, Oano: “Taxation of the Digital Economy in Selected Countries – Early Echoes of BEPS and EU Initiatives”, European Taxation, 55(1), 2016, https://online.ibfd.org/document/et_2016_01_int_1 (Accessed: 26.07.2017). PwC: “OECD Summaries Options for Addressing the Tax Challenges of the Digital Economy”, Tax Insights, Tax Policy Bulletin, 2014, https://www.pwc.com/gx/en/tax/newsletters/tax-policy-bulletin/assets/pwc-oecd-digital-economy-tax-challenges.pdf (Accessed: 23.06.2017). PwC: “Sharing Economy”, 2015, http://www.pwc.com/us/en/industry/entertainment-media/publications/consumer-intelligence-series/assets/pwc-cis-sharing-economy.pdf (Accessed: 20.06.2017). RAPONI, Donato / O’SULLIVAN, David, “VAT and Taxation of the Digital Economy from the Perspective of the EU Policy Maker”, in (Eds: Lamensch, Marie / Traversa, Edoardo / Van Thiel, Servaas, (ed. ), Value Added Tax and Digital Economy, Wolters Kluwer Pub. Netherlands, 2015. RSM: “Indirect Tax Update - January 2017”, https://www.rsm.global/sites/default/files/media/Ideas%20and%20insight/Tax/indirect_tax_update_-_january_2017.pdf (Accessed: 24.08.2017). SANGER, Christopher: “BEPS: What Lies Ahead?”, Tax Inside India, 2015, http://www.ey.com/Publication/vwLUAssets/ey-india-tax-insights-sixth-edition/$FILE/ey-india-tax-insights-sixth-edition.pdf (Accessed: 18.07.2017). SCHMIDT, Peter Koerver: “The Digital Economy and International Tax Law: Main Challenges and Possible Solutions”, Copenhagen, 1st December 2016, http://www.cbs.dk/files/cbs.dk/final_-_clean_version_-_the_digital_economy_and_international_tax_law_-_pks_0.pdf (Accessed: 14.07.2017). Tax Consultants International B.V: “The Reverse Charge Rule, 04-10-2013”, 2013, https://www.tax-consultants-international.com/read/the-reverse-charge-rule?submenu=14497&sublist=3274&subsublist=3300 (Accessed: 22.06.2017). TAXAND: “Taxand Global BEPS Report Impact of BEPS Across Taxand Jurisdictions”, 2016, https://www.alvarezandmarsal.com/sites/default/files/taxand_global_beps_report_december_2016.pdf (Accessed: 25.06.2017). THORNTON, Grant: “Tax and the Digital Economy”, 2016, http://www.grantthornton.co.uk/insights/tax-and-the-digital- economy/ (Accessed: 12.07.2017). TRAVERSA, Edoardo / CECI, Emanuele: “VAT Fraud and the Digital Economy within the European Union: Risks and Opportunities” in Lamensch, Marie / Traversa, Edoardo / Van Thiel, Servaas, (ed. ), Value Added Tax and Digital Economy, Wolters Kluwer Publication, 2015. VATGLOBAL: “The Reverse Charge Mechanism”, http://www.vatglobal.com/reporting-obligations-vat-guides/the-reverse-charge-mechanism (Accessed: 05.07.2017). VOSLOO, Louise: “Tackling the Evolving Digital Economy with Direct Tax Laws”, Navigating the Digital Age, Deloitte, 2016, https://www2.deloitte.com/content/dam/Deloitte/za/Documents/tax/ZA_Navigating-the-Digital-Age_Tax_260816.pdf (Accessed: 21.06.2017). WETTERSTEN, Maria: “How Can the Proposed Changes to the OECD Tax Model Convention in Action 1 and Action 7 Counter the Issue of an Artificial Avoidance of a PE Status?”, HARN60 Master Thesis, Lund University, Sweden, 2016, http://lup.lub.lu.se/luur/download?func=downloadFile&recordOId=8880066&fileOId=8882729 (Accessed: 21.06.2017). ZETTER, Martin / GREENBANK, Ashley: “Analysis: Addressing the Tax Challenges of The Digital Economy”, 2014, http://www.macfarlanes.com/media/1485/analysis-addressing-the-tax-challenges-of-the-digital-economy.pdf (Accessed: 25.07.2017).